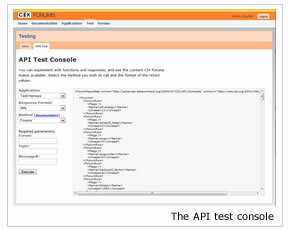 The complete details on the API and how it works from the inside out. Prototype your CIX application in real-time with easy-to-use test consoles. Discuss problems and solutions with the CIX dev team.